The award was presented Saturday at a quarterly UPSA meeting in Hermansville. Richardson was appointed to the Michigan Natural Resources Commission in 2007 and was appointed chairman of the commission in 2013. He has worked to improve fishing opportunities for anglers, including helping to increase the daily bag limit for brook trout over roughly 40 streams across the U.P. and backing efforts to improve walleye rearing, stocking and distribution, especially within inland waters. This past spring, he worked with trappers and the DNR to extend the beaver trapping season. Demboski said Richardson has provided extensive work and leadership to the U.P. 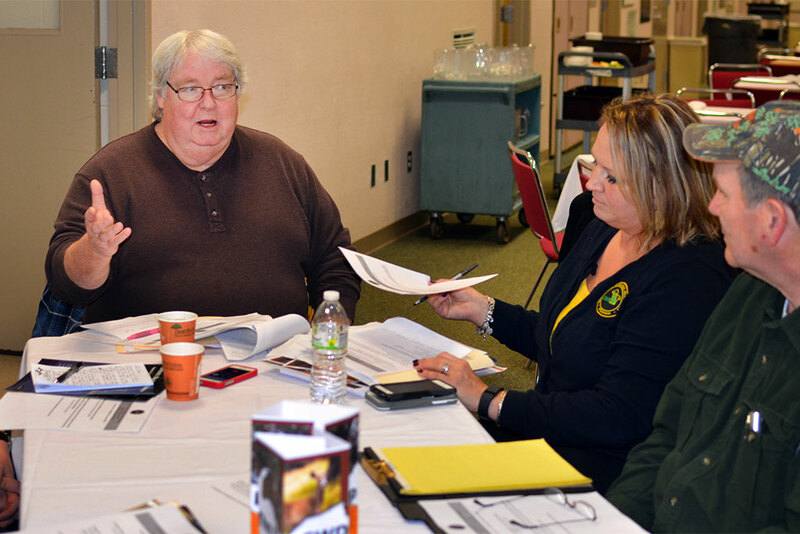 Habitat Workgroup improving deer wintering habitat, formed the U.P. Chronic Wasting Disease Task Force to help generate policies best suited to the region and he has been very active with youth groups in the western Upper Peninsula. Share the post "Richardson named ‘Outstanding Conservationist’ by sportsmen’s alliance"
Categories: Menominee County and Outdoors.